AE Realty, Inc. is Montezuma’s premiere real estate company and uses the latest marketing tools and techniques to help customers find homes and home owners to sell their homes QUICKLY and for the best price. We provide honest, friendly, and professional service to everyone. We know that buying and selling a home is a stressful process. Allow us to GUIDE you through the process. You’ll be glad you did! 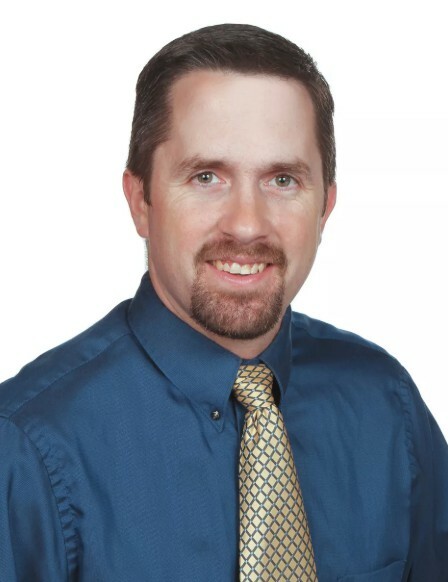 Andy Erselius, AE Realty’s broker, has years of experience in real estate and knows the markets of Montezuma, Lake Ponderosa, Holiday Lake, and the rest of Poweshiek County. Andy has won sales awards from the Iowa Association of Realtors since 2014 with the latest being the Silver Achievement Award in 2017. Among single-family homes in Poweshiek County, Andy had the most listings sell, sold more homes, and had more closed transactions than any other realtor in Poweshiek County. In 2006, Andy and his wife, Sara, moved to Montezuma with their newborn son to “plant their roots.” Sara is a native and graduate of Montezuma, but Andy was new to Montezuma and fell in love with the town. Andy began his career in the suburbs of St. Louis, Missouri in 1999 where he worked for Coldwell Banker Gundaker and ReMax Mid-Towne. Before opening AE Realty, Inc in 2016, Andy worked for Bryan Realty in Montezuma. He and Sara are extremely excited to watch the business grow and meet the needs of people moving into Montezuma and people moving around within the area. As a transplant, Andy can relate to people moving into the area and give people insight about what it’s like moving into and adjusting to Montezuma. Married for 16 years, Andy and Sara built their forever home in 2015 on 13 acres on the edge of town and live there with their three children, Jack, 13, and his twin siblings Claire and Luke, 10. He and his family enjoy walks on the Stage Coach Trail to Diamond Lake, biking around town, watching/participating in their children’s athletic events, golfing, attending various events around town, and traveling around the state and country. Real estate is never dull and that is what Andy enjoys about it. He enjoys talking and getting to know people. He also likes the challenges that each transaction brings and finding the solutions to help people meet their real estate goals. Stop by his office on the north side of the square in Montezuma or call him at 641-226-2639.